While training in carpentry twenty years ago, Gamperl turned to the lathe rather by chance, and embarked on a lifelong relationship with wood. 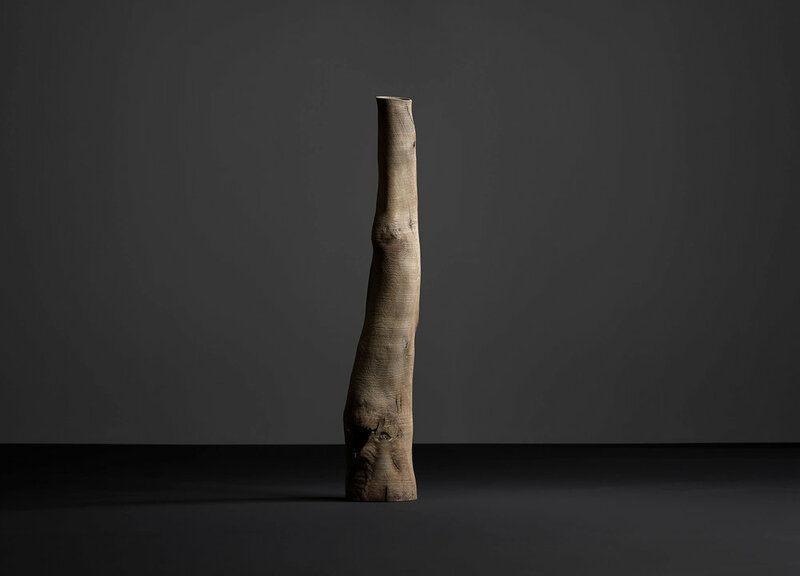 Over the last twenty years, he has studied the drying properties of the medium and its impact on the final sculpture. Gamperl turns wood when it is wet to create a dialogue with the medium before arriving at a final shape. 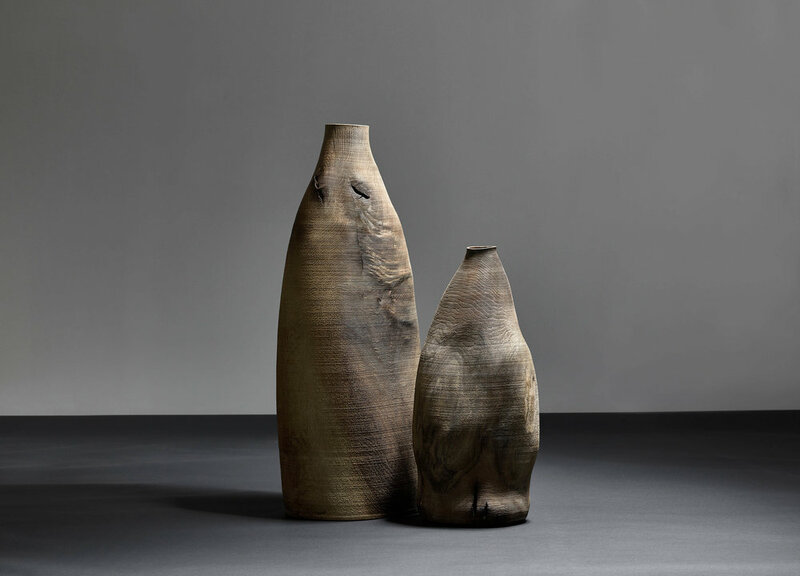 The curved edges, bulges and indentations emerge out of the natural deformation of the wood and are an essential part of Gamperl’s design, as are branches and irregular growth formations, and the fissures and fractures that the artist consciously repairs and controls. The immanent expressive power of the wood, for example its grain, lines and colouring, its softness or hardness, compact heaviness or paper-thin transparency, are underscored by Gamperl’s treatment of the surfaces: waxing and polishing, scrubbing out the streaks or carving filigree parallel grooves, contrasting smooth and shiny with rough-hewn, scarred surfaces. 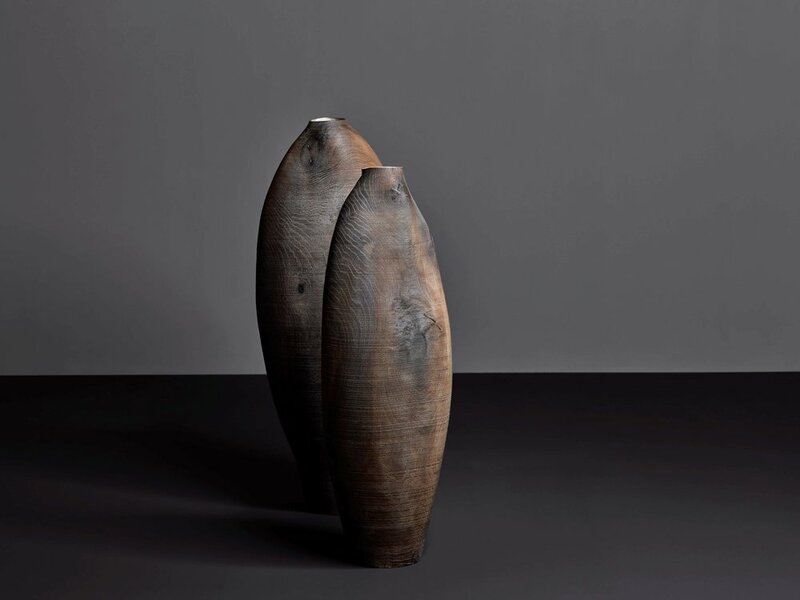 Ultimately, Gamperl creates understated and enduring vessel forms, which have surface qualities that accentuate the essential beauty of the wood with compelling effect. Gamperl lives and works in Germany. 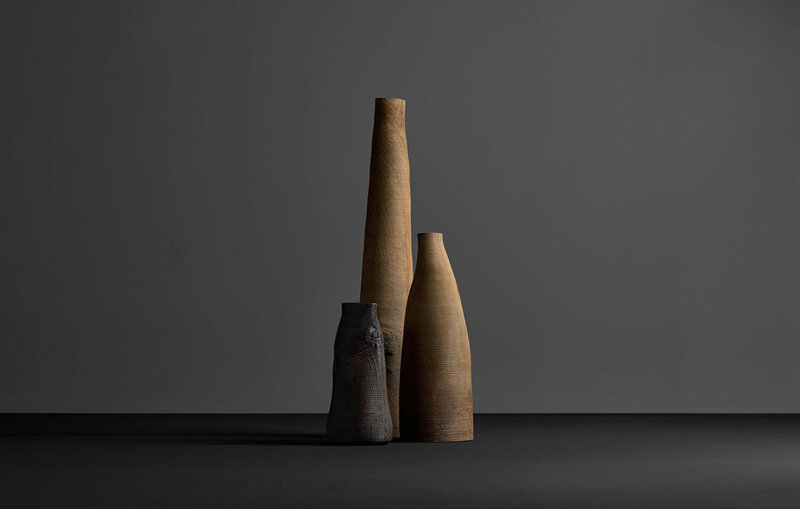 He is a master craftsman and sculptural artist of international standing, and has worked with numerous creative giants including Tadao Ando, the famous respected Japanese architect, and most recently Martino Gamper, designer and guest curator at the Serpentine Gallery in a major 2014 exhibition. His work is included in many public museum collections across Europe, including Museum of Arts and Crafts, Hamburg; The International Design Museum/Neue Sammlung, Germany; Collection Issey Miyake, Japan; The National Foundation for Contemporary Art, Paris; Collection Grether, Basel; The Grassi Museum, Leipzig; Collection Vok, Italy; and the Victoria and Albert Museum, London.